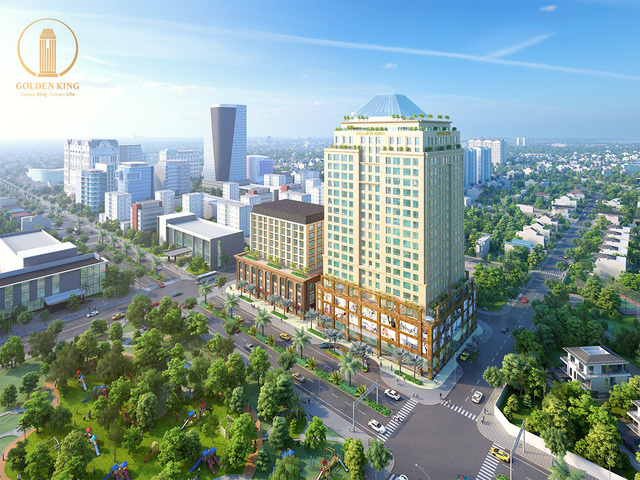 The high-end retail – officetel – office complex of Golden King with the “golden” location not only aroused the real estate market of Phu My Hung, but also Ho Chi Minh City. It owns 3 frontages in the center of Phu My Hung, the Golden King complex invested by Indochina Real Estate Investment and Development JSC and exclusive distribution by DKRA Vietnam. Located on 3 fronts of the street between Phu My Hung center, retail – officetel – office complex Golden King with the “golden” position not only aroused the real estate market in Phu My Hung, but across the city. HCM. Nguyen Luong Bang is known as the road of office buildings with a series of names such as Saigon Paragon Tower, Thien Son Plaza, Lawrence S.Ting …. By the end of 2017, the authorities of District 7 put into operation a further stretch of Nguyen Luong Bang to Pham Huu Lau (Phu My Ward) making the capital more busy. Ever since the road has not been completed, dozens of high rise projects have emerged such as Green Star, Era Town, PMR Evergreen, Citadel Residence, Moonlight Plaza …. Golden King is a commercial-office-office apartment complex with total area of 2,775m2 including 21 storeys, of which 5 are for trade center and 374 for officetel with area from 32 to 323m2. . Combined with three main parts, including the pedestal, the tower block and the top of the pyramid, Golden King has a unique architectural style, elegance and elegance, yet modern and harmonious with the environment. the surrounding landscape. With strategic location, Golden King’s servetel owner will enjoy all the conveniences of Phu My Hung International Urban. Each line, detail and space are meticulously polished, balancing light sources, natural wind, green to create a fresh air environment but not monotonous but delicate and elegant. . In addition, Golden King is also designed to meet the BMS standard model “Green and intelligent building”: modern, safe, effective, environmentally friendly and save operating costs. Officetel Golden King is designed according to the optimum area of use and flexible functions depending on the purpose of the user. Besides the overwhelming advantage, Golden King also cause fever in Phu My Hung market by competitive price from only 1.8 billion per unit. 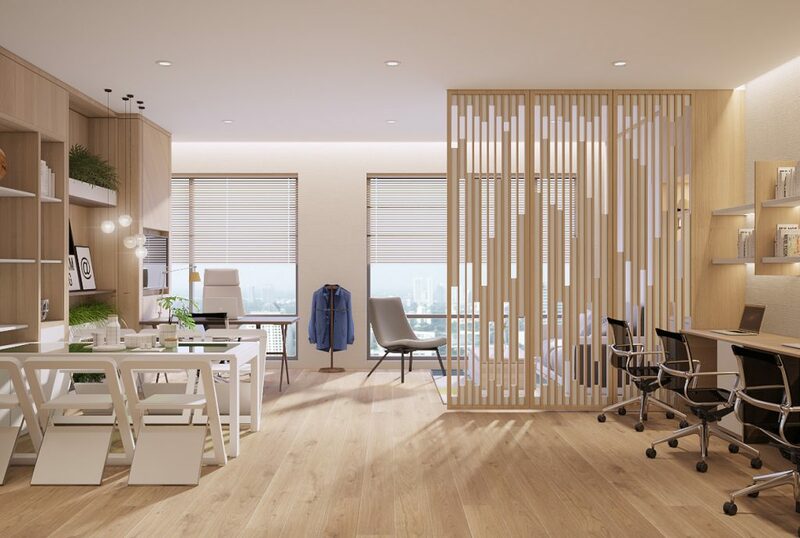 In addition, customers are supported by large banks such as NCB, PublicBank and Lienviet Post Bank to finance 65-80% of the value of apartments for up to 20 years, helping to optimize the budget in the early time. Set up business and balance investment costs. At present, the Golden King complex has been completed and is located between Phu My Hung International Financial Center. The building is ready to be handed over from the fourth quarter of this year. Once operational, the Golden King will be managed and operated by Colliers International – a leading global real estate investment and management brand, currently operating in 69 countries. Professional services with the reputation and experience of Colliers International will accompany and contribute to the success of customers when laying the business foundation, investment in Golden King.